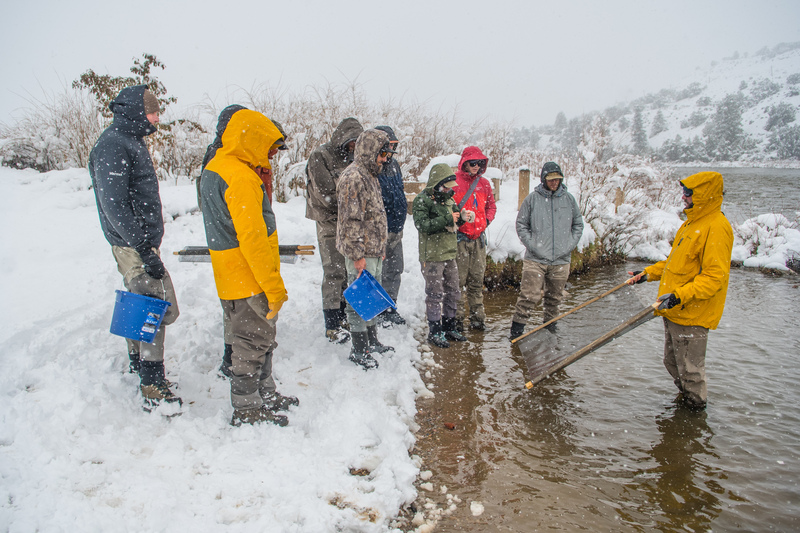 Late fall can be a great time to fish the Colorado, Eagle, and Roaring Fork rivers, and this year, conditions are particularly good. Warm days, cool nights, and clear water have come together to create some incredible fishing for anglers everywhere. Whether you are fishing from a boat or on foot, you should be able to find plenty of hungry fish. Here are a few things to keep in mind for your upcoming fall fishing adventure. Typical fall fishing conditions include low, clear water, bright sunshine, and tiny insects. These conditions can cause frustration for new anglers, especially when confronted with a pod of rising trout in calm water. 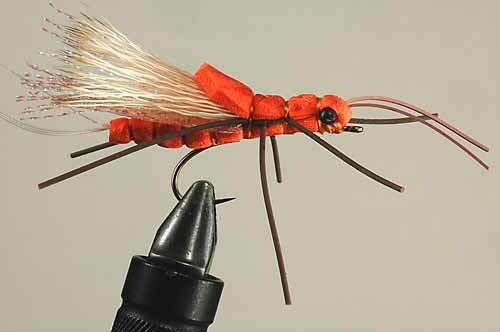 Even with the right flies and tippet, fish like these can be difficult to fool. 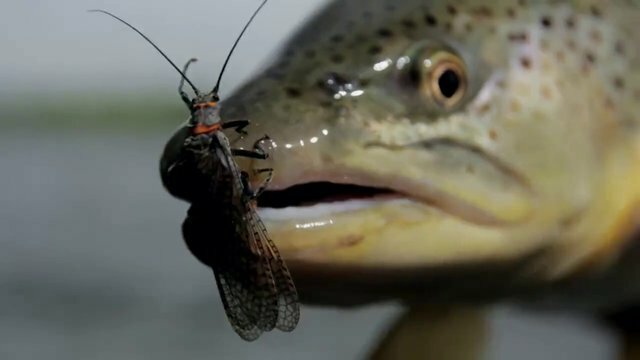 Where you stand while casting can determine whether or not a fish decides to eat your fly. When a fish is suspended, it can be extra wary so it is critical to give it a lot of space and try your hardest not to be seen. Pay close attention to not only your own shadow, but the shadow that your rod casts while you approach rising fish. If you can, try to position yourself so that your are facing into the sun and slightly behind the fish you are trying to catch. The other thing to consider is where your line lands and how many false casts you will have to make to reach the fish. I try to stand at an angle so that my line is well away from the risers and cast as little as possible so that they do not catch a glimpse of my line. With cooler overnight temperatures, early morning fishing has slowed down a little, but midday fishing keeps getting better and better. If you are planning a day on the water, do yourself a favor and enjoy a relaxed morning before heading out to the river. Most of my fall fishing success happens after 9:30 or 10:00 am. Nobody really likes using 6X tippet. It tangles easily and breaks even easier. There are, however times when I think 6X fluorocarbon really helps to fool suspicious fish. It is easy to tell yourself that fish do not see any real difference between 5 and 6X, but the results do not lie, and after fishing the two side-by-side numerous times, I am convinced that the difference in diameter between the two, although minute, is enough to affect how many fish you hook. Whether you are nymphing deep or throwing dry flies, break out the 6X tippet and see the difference for yourself. These are just a few small things to remember while you are out on the water this fall fishing season. 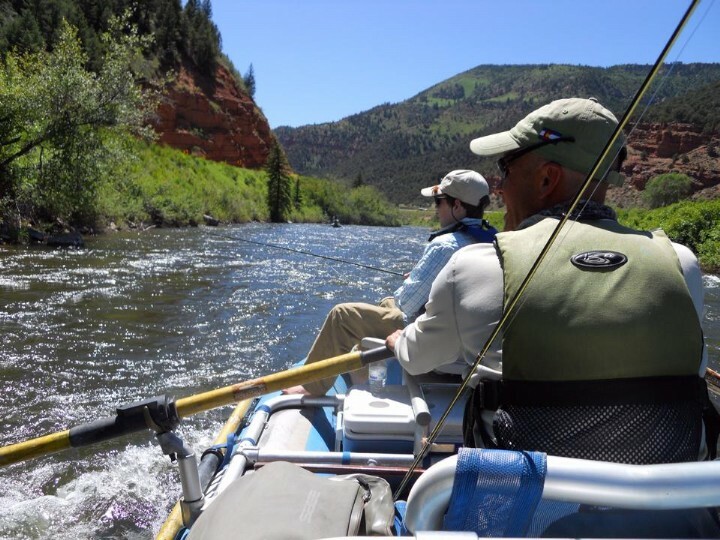 One of the best ways to get the most out of this time of year is to book a float trip on the Colorado River or Roaring Fork River with your favorite Vail Valley Anglers guide. If you are going unguided, make sure to check out our updated fishing reports before you head to the water, and as always, swing by the shop in Edwards to load up on all the best gear, flies, and information.